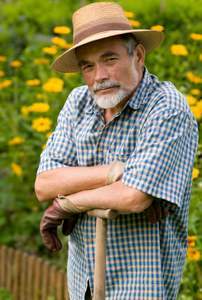 Organic gardening leads to self-empowerment. You can take control of your health, regain autonomy, know your food and find your place in the Earth's rhythms. 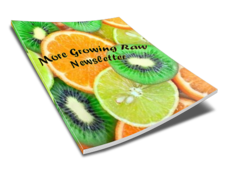 How can growing your own organic food empower you? Empower is a verb. One definition, according to the English Collins Dictionary, is "to give ability to; enable or permit." In a world where conglomerates and organisations control just about everything in our lives, it’s refreshing to know that most of us can choose to be in charge of where our food comes from and as a consequence, reap the rewards of empowerment this ability bestows. We are enabled, then, on many levels, when we adopt the act of gardening, and especially when we grow our food organically. The simple act of organic gardening brings with it a sense of having power over your own life, your health and that of your children, and consequently, of taking responsibility for cultivating for them a healthy, productive future. Sowing a seed, watching the seedling grow, then planting it in the garden is a rewarding activity, even before any harvest appears. Mother Nature will not let you down. Once you start the process, her rhythms will take care of the rest. You’re partners now, helping each other. Take that partnership seriously and many blessings will visit you. You tend your garden in the fresh air, sunshine or rain. With this meaningful, soulful connection to Nature, you discover a deep attachment to the soil, the plants around you, and the smooth succession of seasons fills you with awe and humility. You follow earth’s cycles, and exercising is good for you too, you know. You are given a task in life, if you so choose, to preserve and propagate unique heirloom or special varieties of vegetables or fruits that are in danger of disappearing from seed suppliers. This is a noble purpose, but even if the seeds you grow are not heirloom, they are still the magical means by which you can feed your family. There’s something extra special in that, too. You are preserving and modeling a healthy lifestyle and way of life for your children, your family, your neighbour, or the passerby who sees the fruits of your labour. This is empowering for others as well; if you can do it, they can do it, too. You are doing something positive and constructive for the planet; not polluting the environment, you are eradicating pests or treating your garden with organic means that are gentle and kind to all life forms. You are preserving the wildlife and birdlife and insect-life that frequents your garden, helping Mother Nature by respecting the balance she keeps in all her ecosystems, backyard garden included. You are saving your health, that of your children and your children’s children by not spraying pesticides or using chemicals that end up in underground water reserves, natural waterways or city drains. You are giving back to the Earth in return by amending the soil each year, replenishing that plot, that raised bed, those containers, using only natural and organic mulch, compost and other soil amendments. Where does all the food in supermarkets and grocery stores come from? Some have the country of origin stamped on them with little stickers; others don’t. Some say "local produce" but local could be the next state or province, who knows? So little information is given to the unsuspecting consumer. On the other hand, the fruits, roots and vine produce that have grown thick and spread themselves wide did so right in your backyard. You know where they live and how they got there. You know you haven’t sprayed them with growth enhancers, ripening gases or pesticide dust, but you can’t say the same for the supermarket squash or strawberry. With the assurance that you are eating wholesome, clean and nutritious foods that you have grown yourself, you know they are good for your health. That can only breed confidence and belief in yourself and in Nature. You and your children will be healthier, suffering much less allergic reactions or sensitivities to foods and to your clean, wholesome environment. Your food will be better tasting, full of healthy flavour and colour. There are no moulds or bacteria growing on just-picked or well-preserved foods that have been ripened naturally by the sun. Since we are what we eat, eating and growing organic will produce a better digestion for all and therefore good overall health, including sound sleep patterns, an enhanced immune system and a stable mental and emotional outlook on life. Organic gardening brings peace of mind. The cost of organic gardening is quite minimal compared to how much money you would spend, first by using fossil fuel to go and buy supermarket goods, or second, by buying pesticides for your garden, if you chose to apply them yourself. You do not rely on the grocery store to supply you with fresh produce or preserved goods, as you have those on hand yourself. What a great feeling of relief knowing you have enough food for months in advance! Just that power of choice alone can raise your self-esteem several notches. Growing organically means that you, not just the plants, and your garden are forever evolving together. You learn new methods to feed your plants to keep them healthy. You learn new ways of implementing less harmful or managing pest control. You learn your plants’ natural growth patterns and cycles. When you are working hand in hand with Mother Nature to help you grow healthy foods, you are always in learning mode, and that also is a very empowering side-effect. Make the resolution to tend your own backyard garden, one you will grow as organically as possible. It doesn’t have to be big; you can grow lettuce in a container on your balcony if you want. The more basic and whole foods we grow and eat, the healthier and happier we, and our children, will become. It’s not too much work, in fact, it’s all very much worth it. Please join us in greening up the kitchen table by empowering yourself and growing your own food!